Two weeks ago I had the pleasure of being part of team invited to North West for the inaugural Motswako Festival hosted with the support of the provincial tourism department. 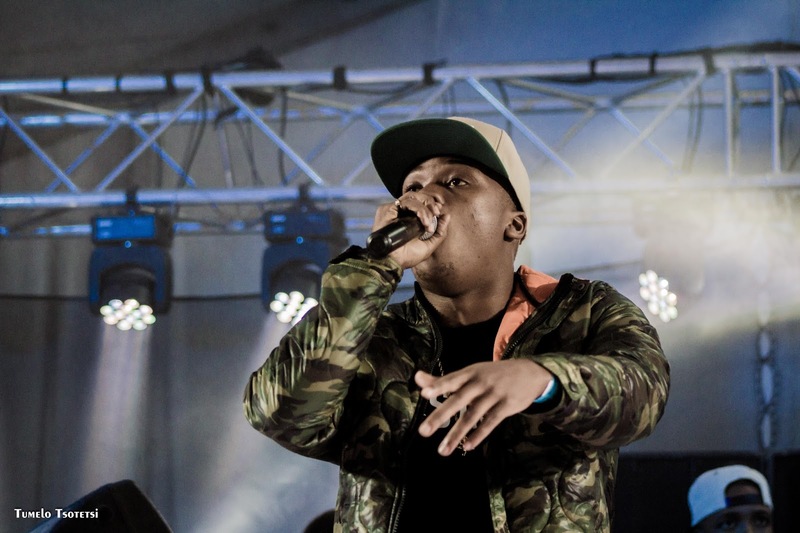 A large contingency of hip hop and Motswako addicts gathered at the Mmabatho Stadium in Mafikeng, North West to witness the explosive inaugural music concert dubbed Motswako Festival 2015. The festival showcased a plethora of musicians from the North West Province, Gauteng and Kwa-Zulu Natal. 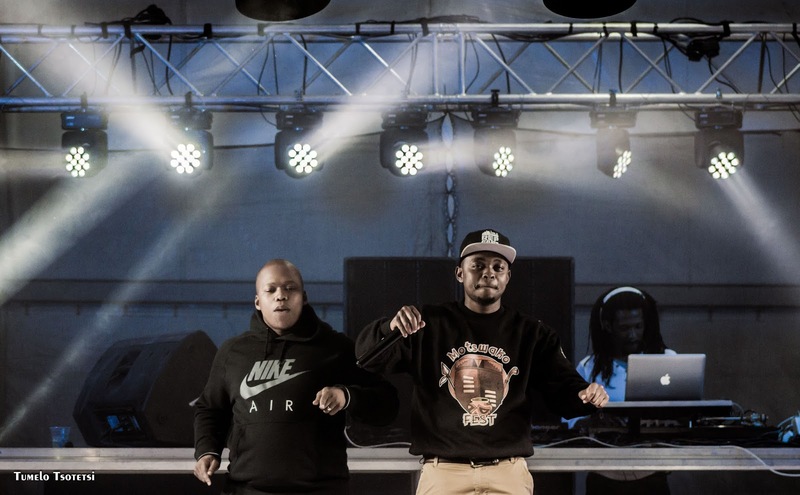 Top echelons of Motswako genre from the North West Province such as Kuli Chana, Tuks Sengaga, Molemi and Notshi led the festivities alongside GP acts represented by Donald, Speedsta, Vetkoek and Maoohata. The Saturday event presented by Afro Café host Stoan Seate also headlined Durban finest and SAMA Award Winners BIG NUZ with DJ Tira, Dream Team, Fisherman and the new kid on the block Naak Musiq. Long known for his innovative take as an MC, Kuli Chana exploded on stage with songs from his old albums while chanting on stage with his homeboy KayGizm from Morafe. 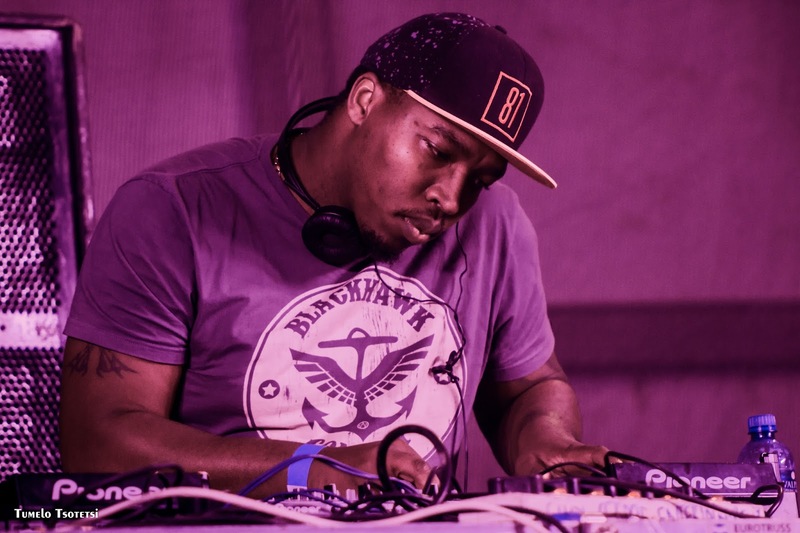 “All these musicians play throughout the country, but seldom do they ever share one stage, with the annual MotswakoFest we are hoping to bring them all under one roof and have a potpourri of music genre’s for years to come,” said Festival Organizer and Gateway Media Owner Thato Molamu . The MotswakoFest which invited music lovers from as far as Botswana brought together thousands to enjoy a musical fanfare of various genre. While our hosts went out of their way to make our trip to my home province an exceptional one, some expectations were not fully met. Upon hearing that the event would be held at a Mmabatho stadium, some of us expected a concert in the actual stadium but when we arrived it dawned on us that the event would be in a marquee within the stadium premises — not in the open field stadium. My other concert was the overcrowded VIP section. At some point it looks as though there were more people in the VIP section than in the crowd that paid to come and see the musicians. Alas I will forgive the organisers here... when you are dealing with a government entity as a sponsor you are bound to get a lot of people wanting to invite everyone they know for free. The positive in all this is that, for a first time event, Motswako Fest did deliver on the festivity. The enthusiasm from the crowd was testament to the fact that North Westerners are yearning for a chance to be exposed to the festivities that Gauteng and Kwazulu Natal are privileged to. I am looking forward to seeing what the event would be like next year. Some advice, perhaps the vent should not just be an evening thing. It should be an all day family outing event. That will likely attract bigger crowds. All in all the event was fun and the trip was quite the experience.